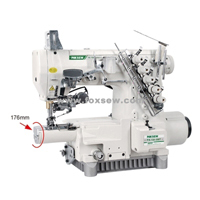 China Programmable Pattern Sewing Machine,Heavy Duty Sewing Machine, Special Sewing Machine,Carpet Overedging Sewing Machine, Tape Cutting Machine Suppliers. Product categories of Featured Products, we are specialized manufacturers from China, Pattern Sewing Machine, Heavy Duty Sewing Machine suppliers/factory, wholesale high-quality products of Carpet Overedging sewing machine R & D and manufacturing, we have the perfect after-sales service and technical support. Look forward to your cooperation! 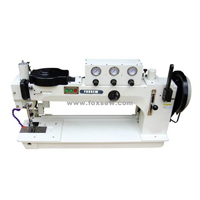 The Small Cylinder Bed Interlock Sewing machines series in China Mainland is number 1, it is the improved version of Taiwan Shing Ray and Shing Ling, so it has more powerful functions. 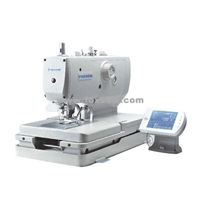 The 4 needle 6 thread Feed off the arm Flatseamer won high praise from all over the world Top Brand, like Brother, Juki, Singer- The Computerized Eyelet Buttonholer is hundred percent as Singer machines, customers love it so much-. 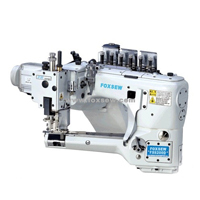 In those past years, we invested a lot on heavy duty sewing machines, especially for the Durkopp Adler and Seiko models- Customers can find same machines with Durkopp and Seiko here in FOXSEW, and get very competitive prices with satisfaction. 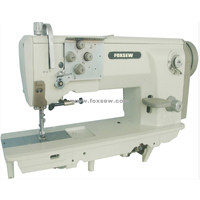 So, if our customers need any special sewing machines and cutting machines, or any other special garment equipments, please check here in FOXSEW first, we believe you can get what you need. What we want to do is provide the best service and qualified machines for our customers, to save their time and money, and get what they need. 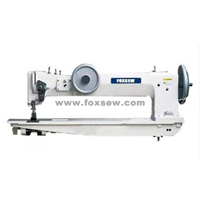 FOXSEW Featured Products is the core competitiveness of FOXSEW Company. We will keep moving with the world, with the time, with the market, with all our esteemed customers. Keep learning, keep moving, keep improving !